For the settlement, see Fortune Bay, Newfoundland and Labrador. Fortune Bay (French: baie Fortune) is a fairly large natural bay located in the Gulf of St. Lawrence on the south coast of Newfoundland, Canada. The Bay is bounded by Point Crewe (46°57′08″N 55°59′19″W﻿ / ﻿46.95222°N 55.98861°W﻿ / 46.95222; -55.98861) on the Burin Peninsula and Pass Island (47°28′56″N 56°11′52″W﻿ / ﻿47.48222°N 56.19778°W﻿ / 47.48222; -56.19778) at the entrance to Hermitage Bay to the northwest for a distance of 56 kilometers. The bay extends in a northeast direction for 105 kilometers ending at Terrenceville. Within Fortune Bay there are also a number of inner bays and coves including, Connaigre Bay, Great Bay de l'Eau, Belle Bay and Long Harbour. There are a number of islands located in the bay, of which the largest is Brunette Island. Some of the other islands include Sagona Island, Great Island, St. John's Island, Chapel Island and Petticoat Island. It is believed that the name Fortune Bay is derived from the Portuguese word fortuna meaning place of good fortune. It is also one of the oldest surviving names in Newfoundland when it appeared on Majollo's map from 1527. The Geological stage Fortunian is named after Fortune bay and Fortune. The GSSP is nearby. Harbour Breton is a small fishing community on the Connaigre Peninsula in Fortune Bay, on the south coast of the island of Newfoundland in Canada. It is the largest center on the Connaigre Peninsula and was long considered the unofficial capital of Fortune Bay. Many residents resettled from Sagona Island, Jersey Harbour, Little Bay West, Miller's Passage, Red Cove, and Grole. Division No. 1, Subdivision G is an unorganized subdivision on the Avalon Peninsula in Newfoundland and Labrador, Canada. 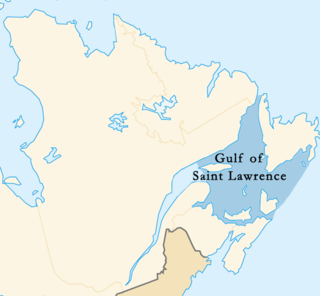 It is in Division 1 and contains the unincorporated communities of Baccalieu Island, Besom Cove, Bradley's Cove, Burnt Point, Caplin Cove, Daniel's Cove, Grates Cove, Gull Island, Job's Cove, Kingston, Long Beach, Lower Island Cove, Low Point, Northern Bay, Ochre Pit Cove, Red Head Cove, Riverhead, Smooth Cove and Western Bay.